While most know him for his 23-year career of head-hunting and throwing no-hitters, Ryan is a savvy businessman. He spent his money wisely by copping a couple minor league teams, a bank, and a restaurant (he picked up a few endorsements after he retired, too). 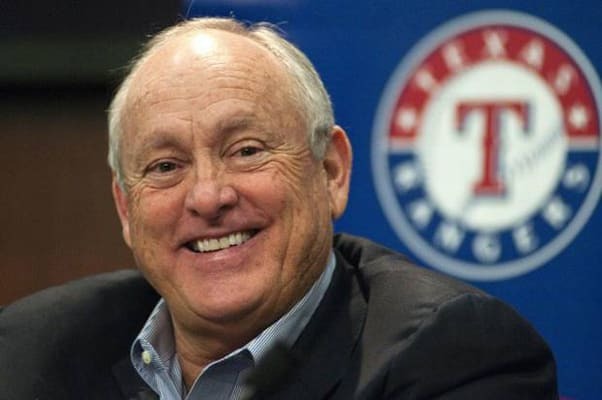 Eventually he gathered up enough cash to be an owner of the Texas Rangers and has built a squad that's made it to two-straight World Series. He and his partners bought the Rangers for $570 million. Now that's paper.